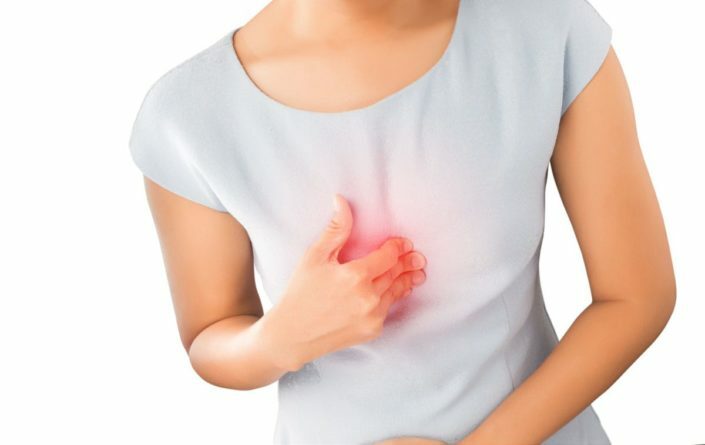 If you are one of those people who tends to eat hearty meals more often than you should then there is a high likelihood that you may well have suffered some form of heartburn over the years. You may ask the question “what does heartburn feel like”. Most people will feel it in or near the heart area and it would be a burning sensation that seems to go on and on – to which you can’t seem to get any relief. Some people get to a desperate point if they have tried all or some of the many pharmaceutical drugs available to alleviate heartburn. It can be really unpleasant and hard to escape from – especially in the dead of night when the rest of the household is asleep and you feel all alone with your pain. Actually the burning appears to be coming from around the heart area. In fact that is not so. The burning feeling is stomach acids that come up through the oesophagus which is the tract between our mouth and our stomach. Now this can cause problems with diagnosis as the pain of heartburn can be confused with the pain of other conditions that are heart related. Be careful not to confuse the onset of a heart attack with plain old heartburn – you may not live to regret it as it were. Always check with your doctor and make sure that the pain you associate with heartburn is consistent to the pain you regularly experience. A doctor will soon tell you if they feel the pain is unrelated and that you have a different condition developing. If you are convinced that it is heartburn there are some simple remedies that may help to alleviate or end it. One of the simplest remedies is water just before you retire for the night. Obviously, don’t over do it or you may get “caught short” in the night, but water is a great body cleanser and diluter – it will help to dilute the stomach acids. Also the angle at which you sleep is part of the problem – if you prop yourself up the acid will have more trouble trying to rise up the oesophagus. Most pharmaceutical remedies will only work temporarily due to the fact that the stomach acids can override them given time. You can make your own with a combination of water and baking soda – but take care not to overdo the baking soda. Antacids can be a cheap solution to but not for too long. Other medications have a long time frame within in which they work which can make them ineffective for immediate relief. Heartburn is a condition that really should be addressed and not neglected. There is an advanced condition known as GERD which is something quite nasty and you should avoid your heartburn developing into this at all cost if possible. If you think you are suffering from heartburn go see a doctor today – don’t leave it or self-diagnose as you may regret it longterm. There are solutions – you just need to find the one that works best for you and then focus on getting well again. In this day and age no one needs to suffer painful sleepless nights unnecessarily.